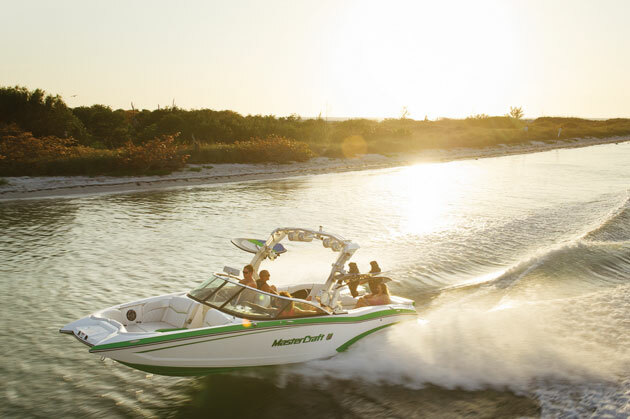 The MasterCraft NXT20 Global Edition was created for international buyers, but North Americans will find a lot to like, too. Although outboards have been infiltrating the runabout market—read Outboards on Bowriders: A Match Made in Heaven? to find out why—it’s probably been a long time since you’ve seen a real watersports boat offered with an outboard. And the last one you saw likely was a “fish ‘n’ ski” offered by a runabout manufacturer, not a true watersports boat builder. 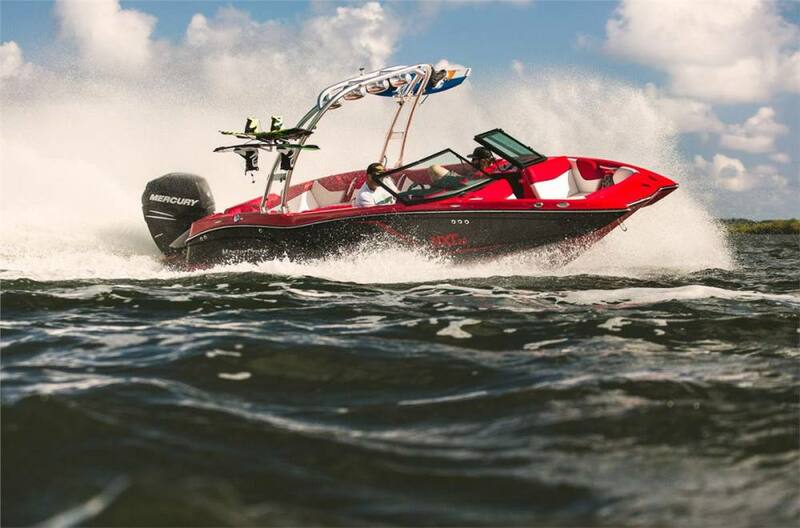 The NXT20 Global Edition from MasterCraft is different. 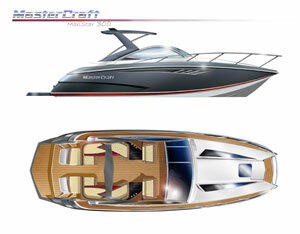 First, it’s built by MasterCraft, inarguably a world leader in watersports boats. Second, it’s geared solely toward watersports. No live wells and pedestal seats, here. An outboard on a “real” watersports boat? If anyone can make it happen, MasterCraft can. 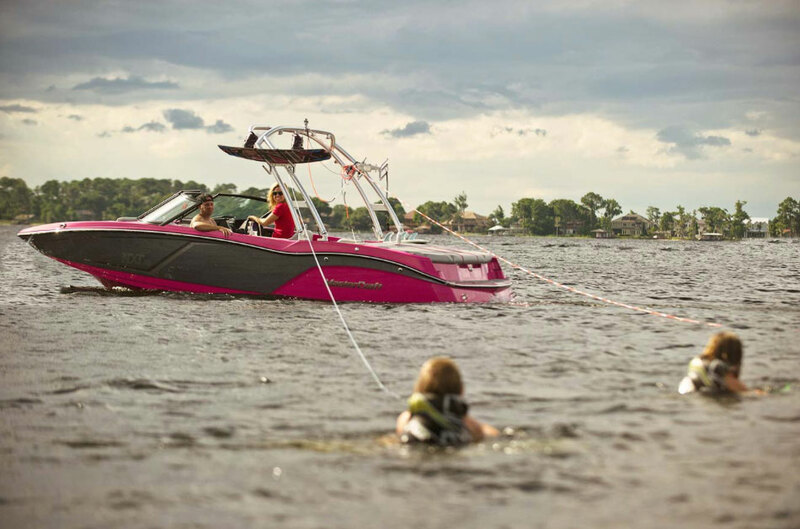 The NXT20 Global Edition is designed specifically for skiing, wakeboarding, barefooting, and pulling kids on inflatables. It can pursue all those disciplines because of its crossover hull, which lays flat wakes for skiing and barefooting and, with some ballast in the tanks, cranks up some lippy wakes for wakeboarding. MasterCraft went with outboard power because that’s what a lot of the international market demanded. However, there are thousands of miles of Intracoastal Waterway and a litany of boaters in the United States who might like the advantages of outboard power in a watersports boat. Evidently, not all jurisdictions welcome dock-crushing wakes the way we do here in America. Because the NXT20 Global Edition is based on the value-leading NXT20 platform, the boat is not as luxurious as some of MasterCraft’s pricier models. And with outboard power, it is a little more expensive than the NXT20. 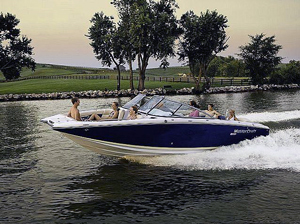 The boat comes standard with a 175-horsepower Mercury Verado outboard, but there’s also an option for a 225 HP motor. A tower is also an option, which keeps the base price down. So buyers who want the boat for skiing don’t have to pay for a tower they don’t want. Typically we like to see a tower come standard, but since this boat serves international markets, the arrangement makes sense. The helm is straightforward, like tow boats of a decade ago, save for a small Mercury SmartCraft display to the right of the wheel. 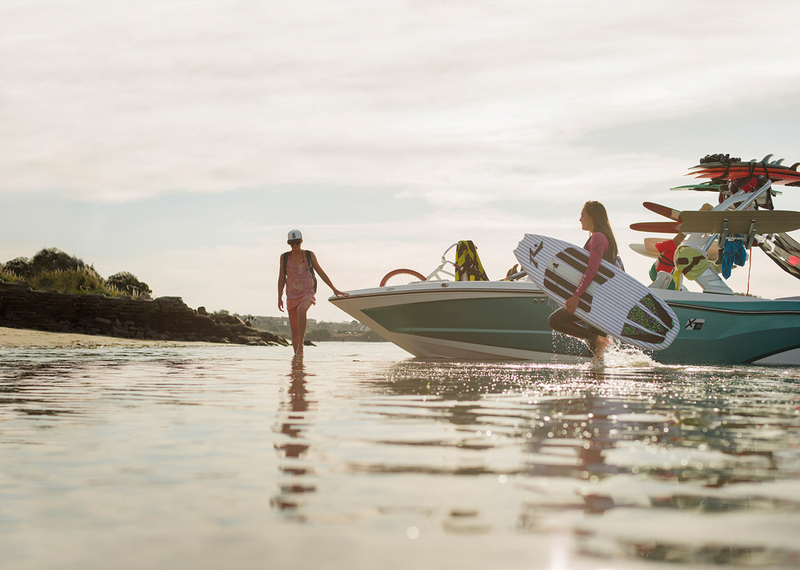 No touch-screens or gee-whiz gadgets in this saltwater boat. Everything is controlled by rockers and switches. Likewise, the cockpit is laid out in a simple and spacious design. With ample deck space, due to the lack of an engine compartment, it’s just a short step over the transom onto the teak platforms to either side of the outboard. There is stowage throughout and a pickle-fork bow up front to lend a sense of currency to the simple design. The outboard may change the dynamics of the stern, but generally speaking, inside the cockpit the NXT20 Global is exactly what you’d expect to see from MasterCraft. The NXT20 Global Edition solves that problem. Other Choices: The closest competitors you’re likely to see are those fish ‘n ski models we mentioned earlier, like the Larson SEi 210 Fish N Ski (with stern drive power) or the Stingray 195 LX Fish and Ski (available with both stern drive and outboard power). For more information, visit MasterCraft. 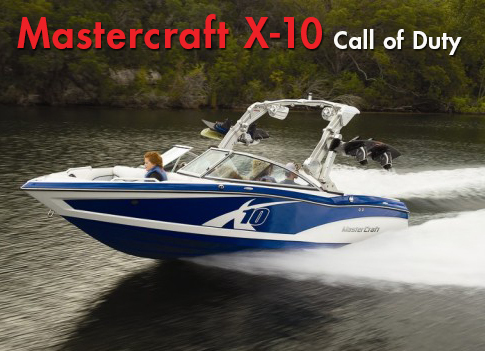 See MasterCraft NXT20 Global Edition listings.